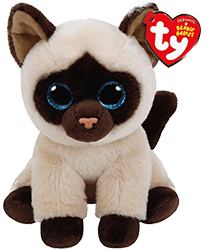 As one of the most popular, endearing and widespread fads of the last 25 years, one would imagine that Beanie Babies must have some type of unique and incredible attributes. Instead, they are simply small, inexpensively priced, stuffed animals with a tag stating the animal’s name and birthdate. Despite logic, the stuffed animals created an almost cut-throat collecting frenzy which inadvertently spawned magazines, websites and fan clubs. In 1993, Beanie Babies made their debut and were being sold in early 1994 in Chicago area stores. As word of mouth cast attention on the stuffed animals, interest, and therefore, sales of the toys grew significantly. By mid-1994, Ty, Inc., was offering more than 30 additional versions in order to meet the collecting craze that was now spreading across the United States. By 1996, more than 100 million Beanie Babies were sold and the craze was now spreading across the world. The popularity of the craze was not lost upon corporate America. In April 0f 1997, the McDonalds Corporation entered into an agreement with Ty, Inc. and began bundling certain Beanie Babies with the company’s “Happy Meals.” Within 14 days, over 100 million of the Beanie Babies had been issued through the food-chain. Because of their success, the toys have spawned numerous websites, magazines and fan clubs. Many collectors have hundreds of the dolls stored in their attic, hoping that they will one day be worth a king’s ransom. With the huge number of Beanie Babies in the hands of the public, they will be very lucky just to reach their investments.